I have been lucky to be doing what I love for four years now. After going to school and learning the technical side of photography and now learning all about the business side on my own, I want to share this knowledge with others. everyday I realize how lucky I am to be doing what I love. I have the freedom to work wherever and however I want. By going to school for photography I learned a lot of technical things but have found myself having to be self taught in all other aspects of photography. it's been quite the journey figuring out how to run a small business owner and my own. wishing I had someone to guide me when I was younger/just starting off in the real world, I want to offer that up for others. from learning how to shoot, getting clients, + finding your style + voice. 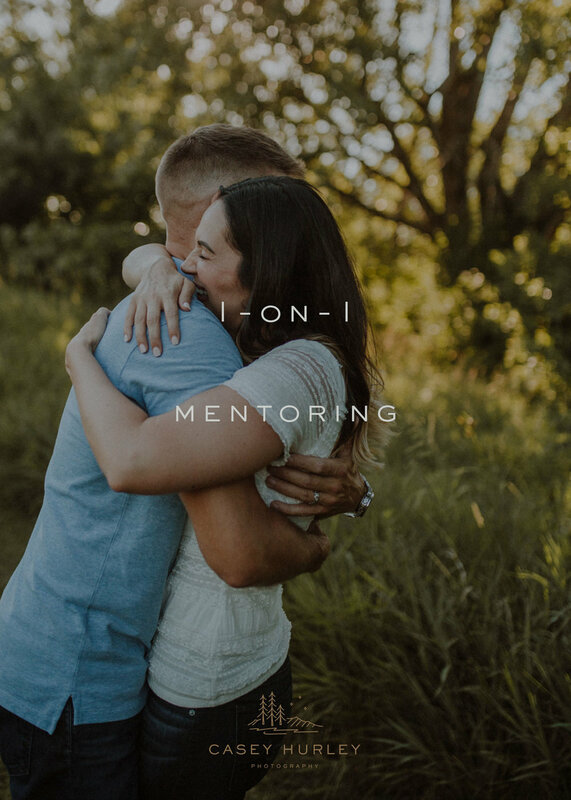 I am now offering mentoring sessions. this is us sitting down together over coffee + snacks and I'll share all the goods with you. from how I book, the software I use, to how much I charge. It's all on the table. I'll share my biggest struggles to what comes easiest. You can ask all the questions you want! Usually lasts 2-3 hours. we will start by getting together + chatting about all things business. from client management to editing consistently. We will then head out to a shoot of your choice (family, senior, or couple) + I will walk through how I shoot, pose, + interact with clients to get those real moments. join me on a shoot! your choice: engagement, senior, or family. I'll explain the process of talking with the couple, how I pose, and even the settings I shoot at! you will get the opportunity to be the lead (actually most of the time you will be the lead photographer!) images can be used for your business wherever you need them! I'll sit down with you for an hour over coffee and we can go through to basics of setting up dubsado to streamline your business! workflows, contracts, proposals, client portals, and so much more!